(LWI) - The Lutheran World Federation (LWF) President Archbishop Dr Panti Filibus Musa has reminded churches of their role as the prophetic voice that brings God’s redemption to the people. Musa, Archbishop of the Lutheran Church of Christ in Nigeria (LCCN) was addressing an African region LWF gathering on gender and child rights, taking place 9-14 October in Dar es Salaam, Tanzania. He said one of the biblical elements of prophecy is the expectation that a prophet upholds integrity when advocating against injustices that society condones. “In order to be prophetic in our engagements with the systems that be, and in this case those that perpetuate gender-based abuses and denial of child rights, church leaders must demonstrate from within the house that they are themselves women and men of integrity, honesty, sincerity and accountable” and thus able to challenge the oppressive structures. In order to be prophetic in our engagements with the systems that be […] church leaders must demonstrate from within the house that they are themselves women and men of integrity, honesty, sincerity and accountable. The 70 participants in the Africa Region Advocacy Training Workshop on Gender and Child Rights include church leaders, diaconal actors, women and youth representatives from 21 member churches in the region and representatives of civil society organizations. Hosted by the Evangelical Lutheran Church in Tanzania (ELCT), they are exploring how to enhance collaboration with government and civil society in a meaningful way when it comes to implementing the Sustainable Development Goals focusing on health, education and gender equality. In his address titled, “The Church’s Prophetic Voice” the LWF president’s also emphasized truth as an important criterion. Churches need to be agents of transformation because members of the congregation believe what their church leaders tell them; therefore they cannot afford to break such trust as it will make a mockery of what they do. He thus urged them to stand firm in what they believe in, prepare and equip themselves well for the leadership roles in society. The president noted that education “empowers an individual to be critical and creative,” adding, the focus on “children helps to break the cycle of abject poverty from one generation to the other.” For the girl-child, he said, this not only lowers or eliminates the threat of early marriage but it also reduces maternal and infant mortality. 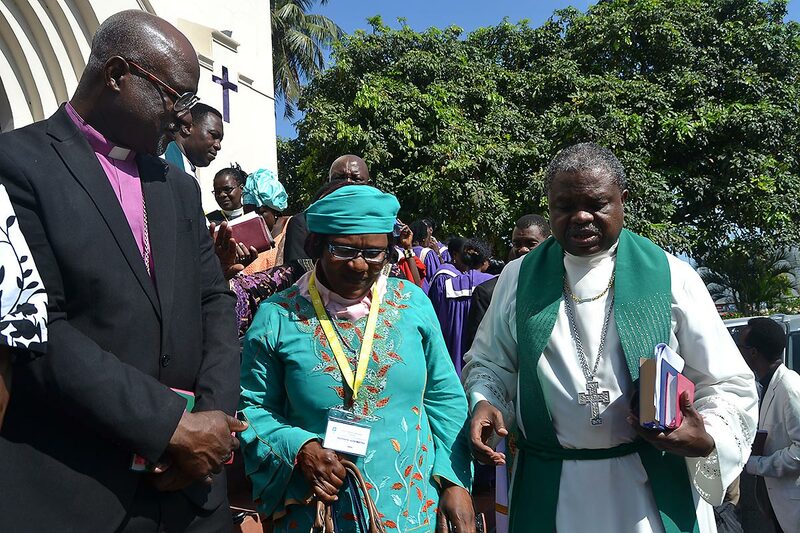 The LCCN archbishop called on the church to be more engaged in the fight against the perennial problem of child trafficking and child labor in Africa. He described these issues as a real shame since children, “who are gifts from God” are being turned into commodities even by families and friends. “Let the voice of the church re-echo the LWF Twelfth Assembly message that ‘human beings are not for sale,’” he added. 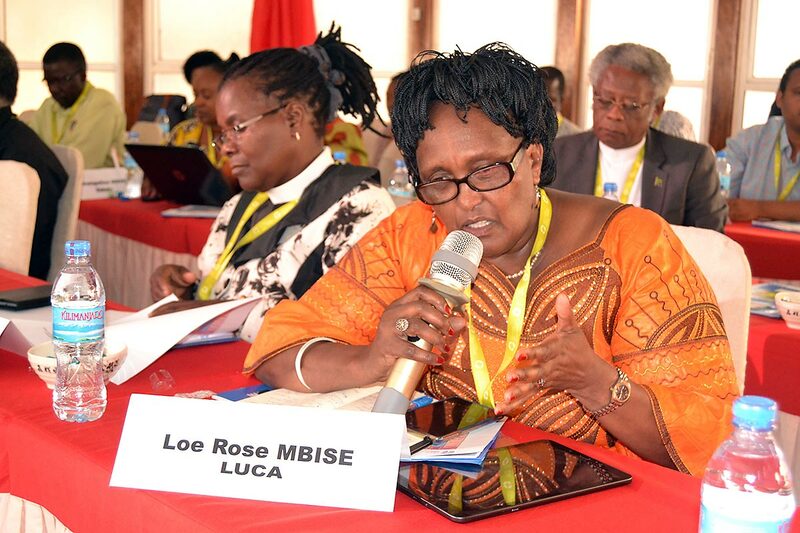 The LWF Vice-President for Africa Rev. Dr Jeannette Ada Maina, Evangelical Lutheran Church of Cameroon, officially opened the workshop which was also attended by LWF Council members from the region, as well as delegates from Germany, India and Sweden. Bishop Dr Alex G. Malasusa, Eastern and Coastal Diocese (ECD), welcomed the participants on behalf of the ELCT. He expressed the church’s honor in hosting the LWF President on his first visit to member churches since his election at the Assembly in May 2017. Malasusa reminded churches of their responsibility in advocating for the rights of the marginalized and confronting structures that discriminate women, children, youth and people with disabilities from accessing essential social services such as health and education. The offering collected during the workshop’s opening service at the Azania Front Lutheran Cathedral will go to the ECD-run Mtoni Diaconal Centre, a boarding school for mentally challenged children. In addition to plenary presentations and group discussions on education, diakonia, theology, gender-based violence and advocacy skills, participants take part in daily evening study tours of congregations around the city, in order to learn about local experiences and exchange views. By Elizabeth Lobulu and Felix Samari, African Lutheran Information and Communication Network (ALCINET).